BEST VALUE! Fabulous opportunity to own this beautifully renovated contemporary townhome in the highly desirable community of La Jolla! MOVE -IN READY! Cool breezes blow into the open layout. All rooms showcase high end features throughout. Attached garage with washer and dryer and extra storage. Enjoy the gorgeous sunset view of Mt. Soledad while you read, dine or entertain in the privacy and comfort of the spacious deck! This home perfectly captures the essence of Southern CA coastal living! A MUST SEE! LOCATION, LOCATION, LOCATION! 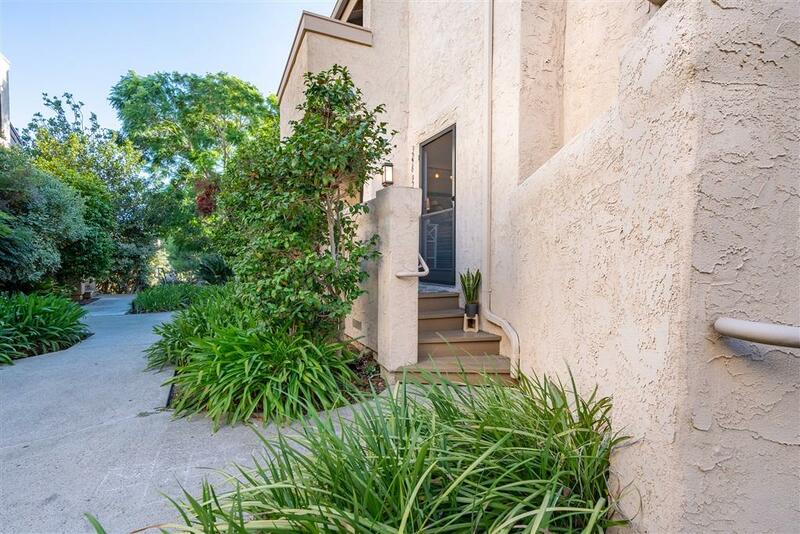 This quiet townhouse is nestled in beautiful La Jolla - West of Interstate 5. Walking distance to schools, UCSD Campus, public transportation, parks, fabulous shopping in the luxurious UTC Mall, grocery shopping in The Village, and many tasty restaurant options. Also a quick drive to San Diego favorite destinations; Del Mar race tracks and fairgrounds, Sea World, LEGOLAND, historic Old Town, the San Diego Zoo, Mission Bay, Petco Park and the Downtown Gaslamp District. Trips to unspoiled Solana Beach, stunning Torrey Pines State Reserve for a hike and Torrey Pines Golf Course are also just beyond the doorsteps. Commuting is convenient with quick access to Interstates 5 and 805, Coast Highway and Highway 56. This home won't last! Listing provided courtesy of Realty Source, Inc.. Listing information © 2019 San Diego MLS, Inc.